Here is a pic of the last slices of the cheese and bacon bread I made at the weekend to go with a pan of leek and potato soup with home made chicken stock. Proper bread making will have to wait till later in the week as I am away for a bit. Is this a bread? Or is it a cake? Well because I slipped some of that creme fraiche in to the mix, it became incredibly soft and almost cake like, except of course there was no sugar in it, just milk, eggs, flour, baking powder, grated cheese, crispy pancetta lardons, olive oil and mustard and a little salt. I am not sure it counts as bread, but for some reason we were down to the last two inches for toast this morning when I thought to take a picture – so someone liked it. It took an hour to bake roughly and forty minutes to cool down enough to eat it; scones would have been quicker but this has a lovely crust and it made a nice change – I did like the crust a lot! I find soda breads quite dry sometimes but this one was rich and moist with all the enriching ingredients. No shaping, no waiting, has a lot to be said for it! The original recipe is in Rachel Allen’s book Bake. I’ve made several things from this book which my sister gave me and they have all worked well. Every time you bake something from a book which works it increases the likelihood you will bake something else, doesn’t it? Some books I just look at the pictures and never cook from. This is a clear and well written book, good layout, clear instructions. A friendly sort of book. I like it and would recommend it. 140g of pancetta lardons, more than the original recipe – you can use crisped up bacon and that would be just as good! I used a 2 lb loaf tin lined with baking parchment. I baked this in a fan oven at 160 C (The book says bake at 180 C in a regular oven) for 40 minutes, and took the bread out of the tin and back in the oven for about another 15 minutes till it tapped hollow and looked cooked. Sift the dry ingredients together. Mix in the grated cheese and the cooked crispy bacon bits without nibbling, or letting the dog fool you into giving him any. Whisk the wet ingredients together and then combine with the dry ingredients until well mixed. Put into tin and bake as above. Allow to cool if you can bear it before eating. This entry was posted in Bread and tagged cheese and bacon bread, quick bread, Rachel Allen on 11/10/2010 by Joanna. Everyone has their favourite bars and cakes, this is one of Brian’s. His Gran made it for him with apricot jam because he can’t eat raspberry or any berries without coming out in a delightful rash. Might be more information than you want to know but that’s why this is not the usual raspberry jam version. The key components of a bakewell slice, are a bottom, a middle and a topping, ( I sound like my old English teacher describing how to write an essay, hah!) and there must be fruit in there and there must be ground almonds. Having said that, there are probably nut free versions out there too. Some bakewells are topped with white icing and cherries, this one was finished off with handcut almond chips, because we had run out of flaked almonds. With hindsight the almond chips made it almost impossible to cut this rich soft bar cleanly, though being home blanched and cut, they were of course fresher tasting than those packet ones you buy ( and a bit cheaper). To print this recipe off as a pdf click here. This slice used an 8 “ x 10 “ tin. I lined the bottom with baking parchment. Another time I might line the sides as well, but it did lift out with a knife run round the edges once it had cooled down a bit. Use whatever pastry makes you happy – I used a creme fraiche shortcrust pastry made with 100 grams plain sifted flour and a pinch of salt rubbed together with 50 grams cold butter cut into little bits plus a tablespoon of creme fraiche to bring the pastry together. You might be better off doubling this as it only makes just enough for a very thin base and you might want some more pastry to play with. Chll the pastry before you roll it out. I cut the parchment for the tin first, then used that to cut the pastry base by placing the parchment on top of the rolled out pastry. Before I worked out how to do labels! Then I pricked the pastry lightly with a fork and spread half a jar of homemade apricot jam over it, about 220 grams in all and put the tray in the fridge to chill for about half an hour. The topping was made as the Bakewell Bar recipe in Rachel Allen’s lovely book Bake: From Cookies to Casseroles. She uses a different base more like a shortbread biscuit. but you could use a little almond essence if you like the taste of it, that’s what it tastes of traditionally, but I always think it tastes a bit artificial. You could use something like kirsch to add a hint of bitterness to the almonds maybe? Mix the eggs with the melted cooled butter and almond essence, then add the dry ingredients and mix it all up really well. I let it sit for about ten minutes so that the nuts and semolina could fluff up. The topping is quite stiff, so you need to be careful about how you put it on top of the jam as you want the jam to stay put as a separate layer. I put small blobs all over and then joined them up with a palette knife, it works fairly well. Then press the flaked or chipped almonds into the top and bake for about 25 minutes in a 180 º C (350 º F) oven until the top is golden brown. 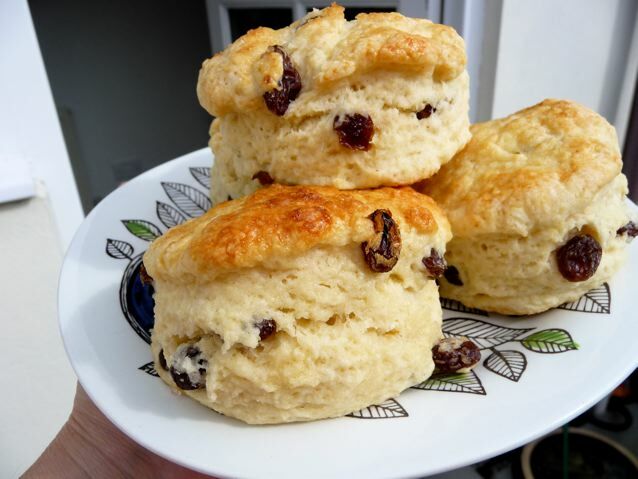 Leave to cool in the tin before cutting, it is very soft and crumbly so take your time doing this. Like so many cakes made with almonds, if you can bear it, it is better to leave this for a couple of days before eating. It will taste better, more almondy. But I understand if you can’t wait! It is incredibly filling and calorific but very delicious! This entry was posted in Cookies, Recipes, Sweet Stuff and tagged apricot bakewell slice, Bake, bakewell tart, pastry base, Rachel Allen on 29/09/2010 by Joanna.